Her foray into the world of art was accidental and so was her discovery as an artist. Her exemplary work emphasizes the fact that art need not be necessarily learnt; true art emanates from deep recesses of one's inner self. Born in late 1920s, Sonabai Rajawar grew up in a big joint family in a small village of Kenapara, Surguja district, Chattisgarh. They were seven brothers and sisters. She spent most of her time playing with other kids, grazing the buffaloes and roaming around the dusty lanes of her village. She was never interested in studies. Like the other girls in rural India, Sonabai too was married at an early age of 14 to a man who was nearly double her age and had already lost his first wife. Unaware of what lay ahead, Sonabai moved to her new home in Puhputra village, which is few miles away from her natal home. Sonabai's new life proved to be challenging. After marriage, Holi Ram never allowed her to visit her parents and relatives. 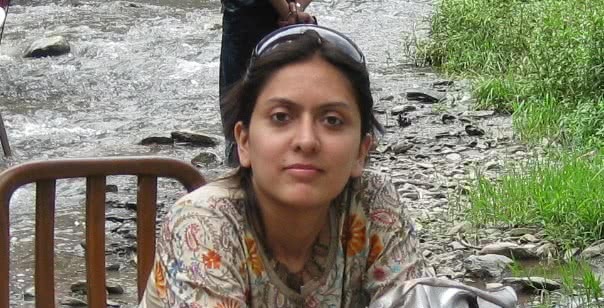 Her life got completely immersed in the domestic chores and ten years passed away. After facing humiliation for years, in 1953 she gave birth to her son, Daroga Ram. That very year her husband decided to move into a new house of his own. The very prospect of having her own independent home excited her as she had longed for some solitude and personal time. However, contrary to her dreams, her life became more miserable. Holi Ram was a jealous man and was always sceptical of Sonabai whenever she went outside their home. Tired of his increasing demands, she stopped going out. Suddenly, her life plunged into loneliness and darkness. She had nobody to talk to. Her only companion was the unbreakable silence that engulfed her. Sometimes your toughest circumstances prove to be a boon for you, only if you have the courage to overturn them. Determined to add meaning to her life, Sonabai started playing with the clay dug from the ground near her well. She initially started making toys for her son and slowly shifted to human figures, deities, birds and animals. For days and months, she thought of different patterns and forms, experimented with minerals, vegetables, herbs and spices to create colours and formed brushes by chewing the sticks. The most spectacular creation in her repertoire includes the lattices (jalis). 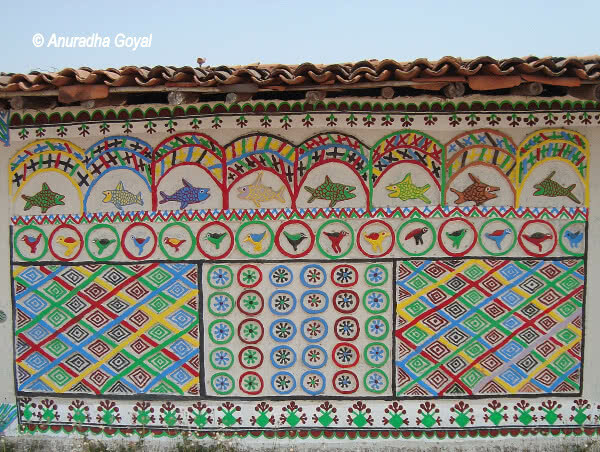 Though the use of jalis is evident in royal architecture, Sonabai never saw such work in her life. Moreover, nobody in a 90 mile radius from her dwelling had ever used jalis in their homes. She created her own unique lattices using bamboo sticks and clay and mounted colourful three-dimensional sculptures on them. The depicted scenes on the walls vary from dancing women to Krishna playing flute, birds sitting on the tree branches to monkeys hanging from them. The three-dimensional sculptures became her companions. Sonabai was never taught or exposed to any form of art in her life. Yet, all her creations are very unique and have no precedence. She drew her inspiration from life itself. And her painful circumstances became her biggest strength. For her, art was a medium of self-expression and introspection. For fifteen long years, Sonabai lived within the closed confines of her home forcibly isolated from the rest of the world. 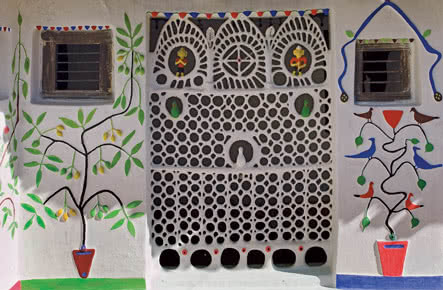 But with her vivid and colourful imagination she transformed her surroundings into a pristine abode that left the whole community dumbstruck. In 1968, her husband suddenly opened the doors of their home for outsiders. Her magnificent creations soon became popular and people from far away villages started pouring in. Then, a turning point came in her life. While carrying out a folk arts and crafts survey of the Surguja district, few people from the Bharat Bhavan, Madhya Pradesh (Puhputra came under MP before formation of Chattisgarh in 2000), reached at Sonabai's doorstep. The fine texture, evenness, quality and colour composition of Sonabai's art left them speechless. They took few samples with them to Bharat Bhavan. Eventually, in 1985 Sonabai was invited to exhibit her work in the centre. Soon, her creativity garnered lot of attention and she won several accolades. In 1985, she received President's medal and in the following year was felicitated with Tulsi Samman by the Madhya Pradesh government. She showcased her art across the world including the Pan-American festival in California. From an unknown woman to becoming a celebrated artist, Sonabai changed the fortunes of her family and her village bringing them name and fame. Gradually, her family and village people started adopting her work. In 1990s, the Govt. of India and the MP govt. gave her grants to teach and train artists in her area. She held several workshops all of which proved to be successful. 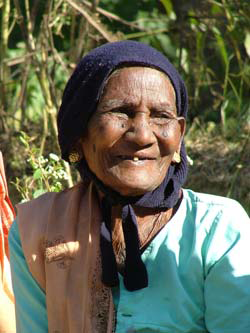 In August 2007, owing to her failing health, Sonabai passed away leaving behind a rich legacy for posterity. She was a true artist whose entire existence was completely subsumed by the act of creation and remained unaffected by the impact it caused. Her discovery as an artist brings into limelight the numerous self-taught folk artists of India whose work remains unnoticed. 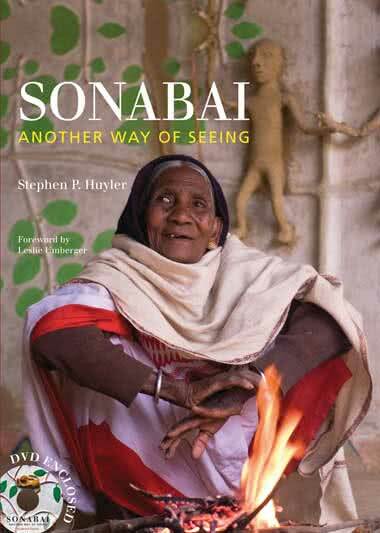 To know more about her life and work, you can read Sonabai: Another Way of Seeing by Stephen Huyler, a highly acknowledged cultural anthropologist, author and photographer.